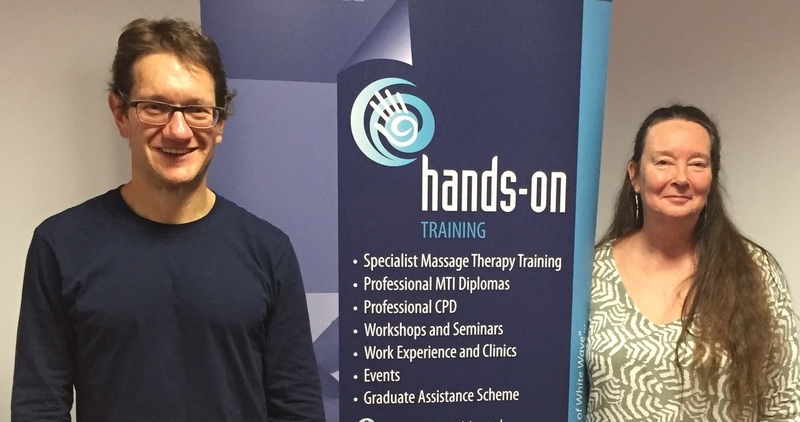 Hands-On Training specialises in CPD workshops and courses designed for therapists across all levels of practice and experience; the MTI accredited Diploma in Holistic Deep Tissue Massage for those who wish to train professionally – and the MTI accredited Diploma in Sports & Performance Massage. Founded by Earle Abrahamson and Jennie Parke Matheson, Hands-On Training focusses on learning through doing and uses an interactive approach to engage therapists with therapy learning and professional development. Through their range of workshops, Hands-On Training aims to develop both clinical and business skills by promoting a culture of excellence, networking and scholarship. The course has now commenced. However, we will take late comers until 8th March. For anyone interested in the 2020 course, attending a Pre-Course Introduction & Taster Day is required. The next Taster Day is on Saturday 1st June. … is on Saturday 1st June. For anyone wishing to learn for Home Use or as an Introduction & Taster Day for the 2020 Diploma Course. To find out more about the 2019 Diploma Course in Holistic Deep Tissue Massage, go to Diploma Course. The course has now commenced, but we will take latecomers util 8th March. To find out more about the 2019 Sports & Performance Diploma Course, go to Sports Course.